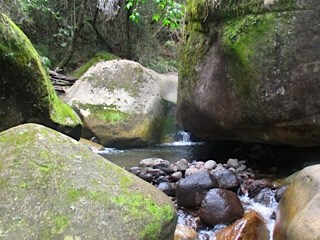 The program allows you to experience wilderness hiking combined with the necessary comforts. 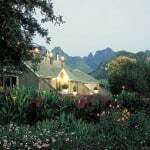 You will stay in lodges in the heart of the Drakensberg and venture out each day on various hikes. 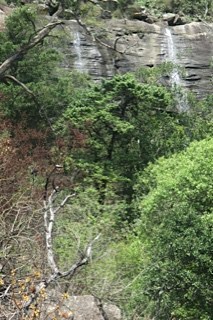 The program provides for the unique features and hikes in the area such as the Tugela Gorge, Tiger Falls, the Cascades, etc The standard program is 6 days and includes dinner and breakfast. The services of a guide can be arranged, if required. 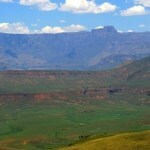 The Drakensberg is arguably the best hiking area in South Africa. The Drakensberg mountains The Drakensberg Mountains, which rise to 3000 m and extend 180 km along the western edge of KwaZulu Natal is the highest mountain range in Africa, south of Kilimanjaro. 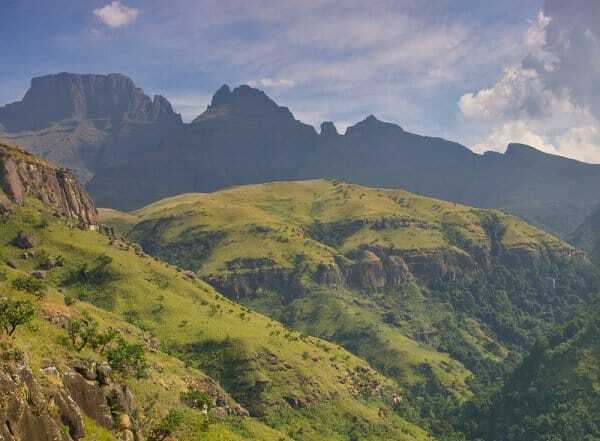 The highest peak reaches an altitude of 3482 m. The mountains have the world’s second-highest waterfall, the Tugela Falls (Thukela Falls), which has a total drop of 947 metres. 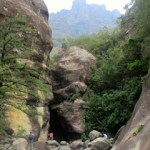 Magnificent views of towering sandstone cliffs, gigantic peaks, hidden valleys and crystal clear rivers welcome you. 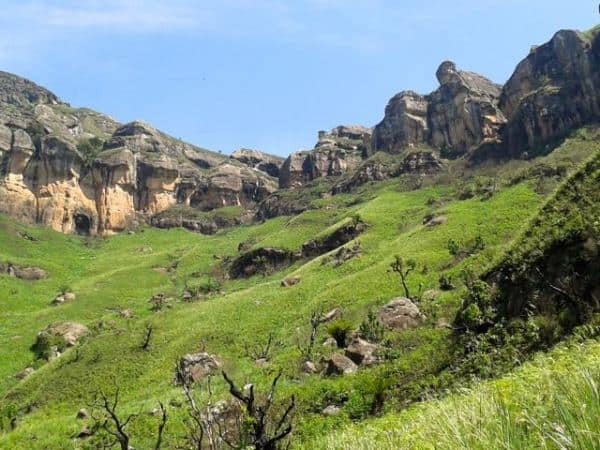 Flora and fauna The Drakensberg nature reserve is home to a huge variety of flora. 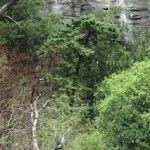 This is due to the 1500 m rise from the base and the many plateaus, cliffs and valleys, often with their own habitat. 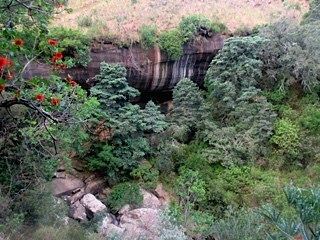 A large portion of the park is grasslands and the lower parts are protea savannah. Six antelope species occur plus the hyrax (klipdassie) and baboons. It includes herds of Eland. There are also mongoose, jackals and otters. However, these animals are shy and not easy to view. There are 200 species of birds including the very special Bearded Vulture and the Black Eagle. 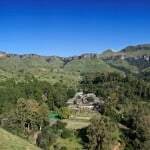 Nature reserve 243 000 hectare uKhahlamba Drakensberg nature reserve and World Heritage park. Rock art There are about 600 San rock art sites, together representing 35 000 individual images- one of the highest concentrations in Africa. 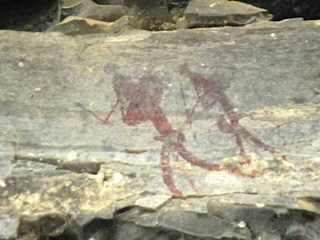 The oldest rock painting is dating back to 4000 years ago and the recent going back to the nineteenth century. 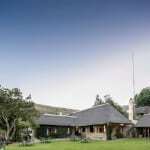 Follow our Route directions and drive through the Drakensberg area from base to base. 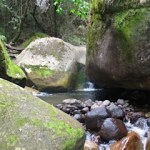 From each base (Lodge or hotel) a selection of hiking trails will be recommended. During daily walks you will get a taste of real adventure. The program is flexible and can be structured for your specific needs. We recommend that some of the hikes below be included. 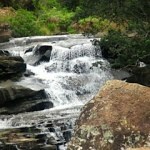 This 6 day program is focused on some of the hiking highlights of the Drakensberg nature reserve. It involves minimum driving. 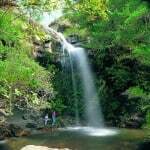 We ensure that each day is interesting and well balanced in terms of walking and leisure. The day sequence of the program may vary, depending on weather conditions. Different options will be available to allow you to amend your program, if necessary. Rate available on request- depending on the specific lodge/hotel(s) included in your program and whether a guide is required. Overall rating is “Easy/Moderate”. You do not need to be ultra-fit but certainly able to walk between 12 and 20 km per day. The route takes you along well marked trails . See Walking grades for more details about Easy and Moderate rating. 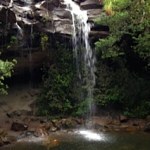 Fishing, swimming, rock climbing, mountain biking, horse riding, boating and bird watching. Many of the larger resort hotels also offer a wide range of sporting facilities such as tennis, squash and golf. 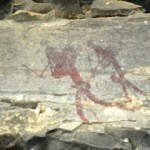 An excellent introduction to San rock art in the Cathedral Peak area is just past the entrance to the park, at the Rock Art Centre. A key thread in the museum is the eland, a vital aspect in San mythology and culture, with some life-size replicas in the entrance. The museum begins with an introduction to the culture and lifestyle of the San, with a look at archaeological finds, quotes from some of the last San descendants, and descriptions of the symbolic meaning of some of the most famous paintings. 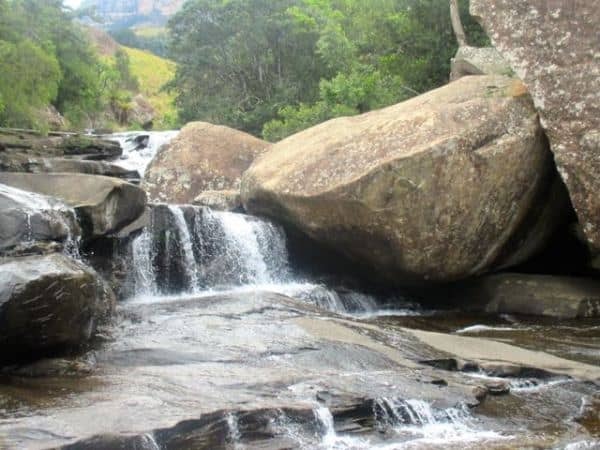 We recommend that you add some other attractions to compliment your visit to the Drakensberg. 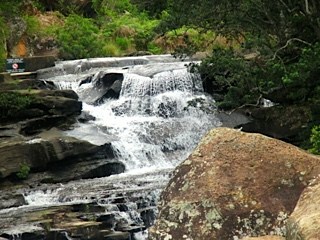 You can include other visits before or after the Drakensberg hiking holiday. We can assist with bookings and advice. The costs of these options are available on request. 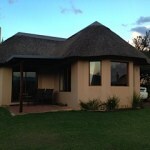 Bookings can be made throughout the year. The autumn months of April and May have the most pleasant climate. Spring is also very appealing, because at that time the wild flowers are in full bloom. Despite the risk of snow, winter is the best season for hiking. 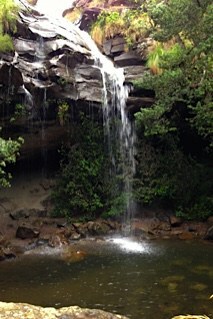 The summer is a less popular season for hiking, although then the landscape is greener and the wildlife more abundant. 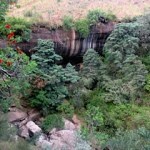 The weather in the Drakensberg can be divided into two main seasons: summer and winter. Although the weather tends to be pleasant all year round, the altitude and the mountain climate shouldn’t be underestimated. Climatic conditions can change rapidly and snow, fog, rain and thunderstorms can develop within minutes, enveloping hikers on exposed hillsides. Winter (May to August) is the driest time of the year and also the coolest. There will always be some rain during the winter months which, when it’s cold enough, will occasionally fall as snow. Daytime temperatures can be as high as 15°C, while at night temperatures will often fall below 0°C. Summer (November to February) is the wettest time. The mornings tend to be warm and bright, but as the heat builds up clouds begin to collect in the afternoon. The violence of the thunderstorms when they break is quite spectacular, usually accompanied by short bursts of torrential rain. Daytime temperatures average around 20°C and the nights are generally mild with temperatures not falling much below 10°C. 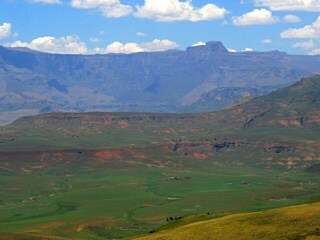 The elevation of the Drakensberg in KwaZulu-Natal, where peaks exceed 3000 metres, results in moderate temperatures. Summer temperatures hardly ever rise over the 30 degree mark. During the rainy season in summer (December, January and February), daily thundershowers occur. At times it pours for days, sometimes a whole week. But there are always long sunny periods as well, even in the rainy season. In the winter months (from June to August) it is dry and pleasantly warm during the day. The thermometer climbs up to over 15 degrees but the nights can be really cold. Even in the moderately high regions, temperatures sink below zero. In higher regions it snows. 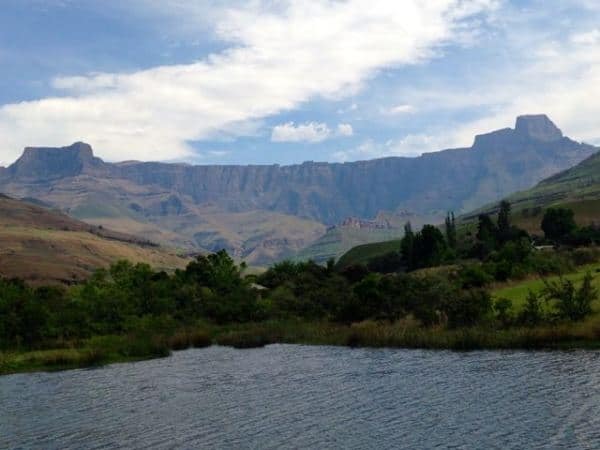 The spectacular uKhahlamba Drakensberg Park in KwaZulu-Natal, South Africa, is located just two hours from Durban and four hours from Gauteng. 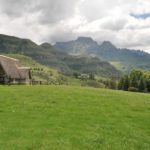 Our Drakensberg hiking holiday is in the Northern Drakensberg. 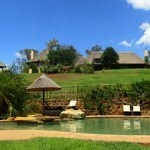 Fly to OR Tambo International Airport and from Johannesburg by car. Take the N3 South towards Durban, until Harrismith. From there take the N5 West towards Bethlehem for 4 km only. Turn left onto the R712 / R74 (Signposted towards Qwa-Qwa & Alternative Route to Durban) Travel for a further 8 km only. Turn left following the R74 towards Bergville, and down the Oliviershoek pass. After 38km, the road levels out. Turn right towards the Northern Drakensberg Resorts. Travel north on the N3 towards Johannesburg. After passing Estcourt Shell Ultra City, take the Ladysmith, Bergville and Northern ‘Berg Resorts Offramp (R74). Turn left towards Winterton and Bergville. Travel through Winterton and 30km past Bergville. There, turn left towards Northern Drakensberg Resorts. 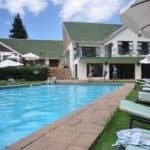 When we confirm your booking more details will be given, as well as suggestions about places to visit along the way from Johannesburg. Comfortable, well aerated clothes in keeping with the season. Always bring a thick waterproof windbreaker/jacket, good walking boots/shoes (already worn-in) and several pairs of cotton or wool socks. For your daily needs, you are advised to have a day-bag, a plastic bag to line your day-pack (to protect the contents from rain), rainwear, a sun-hat, sunglasses, sun block, a water bottle, plastic picnic boxes, personal first-aid kit, camera, torch/flashlight and an extra plastic bag for litter,hiking stick, insect repellant. If you are planning to hike up to the summit plateau the clothing you carry with you should protect you from the weather you are likely to encounter over 3000 m. An anorak made from waterproof breathable fabrics like Goretex will be useful all year round, while in winter layers of thermal underwear, fleece, a woolly hat and gloves should prepare you for sub-zero temperatures.